1. Serve over crushed ice. 2. Combine flavours to create your own unique blend. 3. Add Pure Squash flavour of choice or a dash or Pure Lime Juice to add that extra tasty twist to the mix. 4. 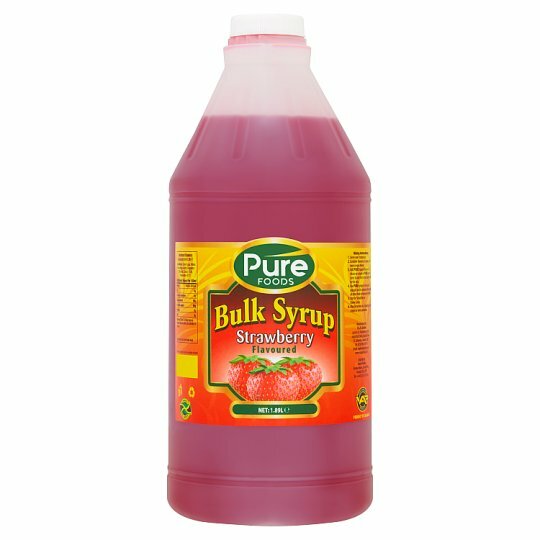 Use Pure syrups to mix your daiquiri and to enhance the taste of other fruit or flavoured drinks. 5. Use for Smoothies or Snow Cones. 6. May be served as a topping on ice cream or over pancakes. Dilution instruction: 1 part syrup to 5 part water or mix to taste. Warning: Colour E122 May have an adverse effect on activity and attention in children.